The Hague's bustling downtown area has far more to offer than the landmarks Binnenhof, Noordeinde Palace, and Peace Palace. Boutiques, cafes, concert and dance venues, galleries, flagship stores, museums and restaurants offer something to everyone who loves culture, shopping and nightlife. Photography tip The perfect spot to take a picture of the Hague skyline. Questions? Visit our tourist office and we'll personally advise you! With the most historic sites per square meter in the Netherlands, The Hague oozes culture and history. Visit The Hague monuments such as the Binnenhof, Noordeinde Palace, and the Peace Palace. Discover the largest painting in the Netherlands: Panorama Mesdag. Just ten minutes away Escape the bustling city life and relax at the beach. The convivial, historic city centre of The Hague is great for shopping. The shopping centre around the Spuistraat and Grote Marktstraat is open seven days a week and is very popular. Just a short distance away from this well-trodden part of the city centre and its recognisable fashion brands lies an unexpected side to The Hague: the old, atmospheric Hofkwartier houses original, trendy shops. Visit our tourist office And get you some typical souvenirs from Holland and The Hague. 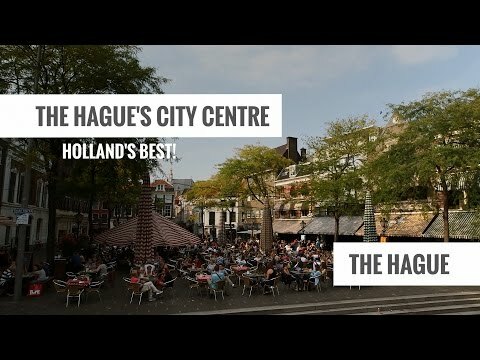 With events year round, The Hague is the festival city par excellence. Visit Europe's biggest free music festival Parkpop. Step into another world at the Tong Tong Fair, the world's largest Eurasian event. Enjoy the magic of dance during Holland Dance and CaDance Festival. Take your time to explore our majestic city. Stay in one of the many luxurious hotels in the beautiful historic city center. Pamper yourself with a night or two at the monumental Hotel Des Indes, the tastefully decorated Palace Hotel or the lovely Carlton Ambassador.